If you manage an online community long enough, you will have members who experience the ups and downs that life has to offer. They’ll accomplish great things. They’ll find love, get married and have kids. But they’ll also deal with personal loss. They’ll fall ill, and they’ll die. Sue John founded BritishExpats.com, a community launched more than 16 years ago that has more than 11 million posts. She currently works as a community manager and engagement specialist for Emoderation. With more than 16 years of experience in community management, moderation, social media and online customer care. Sue was doing “social” before it ever became a buzz word for connecting online. 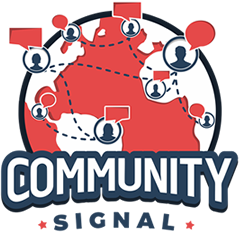 00:16 Patrick O’Keefe: Hello, and thank you for making Community Signal a part of your day. Our guest on this episode is Sue John. 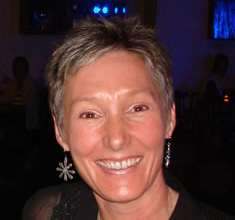 Sue founded BritishExpats.com, a community launched more than 16 years ago that has more than 11 million posts. She currently works as a community manager and engagement specialist for eModeration. With more than 16 years of experience in community management, moderation, social media and online customer care, she was doing “social” before it ever became a buzz-word for connecting online, and is someone that I really have a lot of respect for, and she has so much wonderful experience. So Sue, welcome to the program. 00:49 Sue John: Thanks, Patrick. Thank you for having me. 00:50 Patrick O’Keefe: Now, BritishExpats.com is the community for British expatriates, people who have left their native Britain to move to a different country, like you did when you came to America, and you were in that community for 15 years. You took it from zero to more than 10 million posts. And really, as you know, that’s rare air. It’s a very small number of people in our space who have done this, either the 15 years [chuckle] and especially the 10 million. And so, a lot of professionals don’t really know that perspective, moving from brand to brand, client to client, community to community, because as The Community Roundtable survey shows, people change jobs pretty quickly in our space. That means they change communities if they work in community. And so, like I said, a lot of professionals don’t have that perspective and what you see when you manage a community for that long. So I want to talk about that. How would you describe it? 01:43 Sue John: I don’t know. It’s almost like you think of them as your baby, basically, and everybody who posts on there as your extended family, like your children. And you’re seeing them through all these different elements of their lives because there are lots of people that have been on there for the whole 16 years, so it becomes quite personal. 02:01 Patrick O’Keefe: Yeah, and being there from the start, and being the person responsible for a number of years, and I say this as someone… I’ve managed KarateForums.com for 15 years coming up in May. And so, what I feel in that community, is it lends me a credibility that is hard to match in our profession. Just the way people regard you, good ways, bad ways, but especially in being viewed as one of us, being viewed as someone who gets the community. That you were there from the start, that you’re not someone who came in years later, a decade later, there’s just no match for that credibility in communities, I find. 02:33 Sue John: Yeah, absolutely. And that’s, I suppose, which is a topic for… Maybe we’ll get to later or for another day. But when you leave a community after that long, because people see you there at the head and they see you as a protector of that community, so that you’re gonna look after the best interests of the community and its members. So yes, it definitely does give you that credibility, and a lot of the members have a lot of respect for you. If you come in and say there’s an issue going on, your word’s final because they know you’ve been there a long time, you’ve seen it all. You can handle those things as diplomatically as possible without trying to come down on either side. Does that make sense? 03:10 Patrick O’Keefe: Yeah, it does. And you kinda touched on this. You really get exposed to the range of emotions that humans feel. On BritishExpats.com, you’ve had people meet, get married and have children. You have people who suffer through financial need, illness, and personal loss. There’s a joy that comes from managing a community for so long, but there’s also a pain, I think. 03:28 Sue John: Yeah. You’ve got the pain from… We’ve had people there that have died, so I had one… Let me just quickly give you a quick story. I had one person on there who was always quite critical of me. [chuckle] Not me in particular, but at some point in the life of the community, we sold it to a company. And this person was quite vocal about his dislike for that and what have you, and would be quite critical of any decisions that were made after that. But I had a lot of respect for him because he was there for 16 years, well, not 16, it’s 14, and even though this person’s quite critical and was sometimes a thorn in my side, I did have a lot of respect for him. And he died. He was very, very ill, he never told anybody that he was ill, and then his wife contacted me and told me that he has died. I was quite surprised by the effect that had on me, that actually was quite upsetting. That even though this person who had been a thorn in my side for all those 14 years, had become part of my daily life, if you like, my daily online life. So, that was a pain. So you do get quite emotionally invested in the community and the members. 04:33 Patrick O’Keefe: Yeah. It’s tough. You see the full cycle of life. You get to know people. You know people who are critical. If he sticks around that long, obviously he was critical in a way that wasn’t [chuckle] rude or disrespectful. 04:43 Patrick O’Keefe: He just didn’t like something and he expressed that in a way that was at least partially constructive. 04:47 Sue John: Right, exactly. 04:48 Patrick O’Keefe: So, yeah. It’s tough. With older members and members that we’ve had for a while, I think there’s that feeling that it could happen, and when it happens, it’s gonna be difficult. And it’s something that a lot of mature communities have to deal with. I don’t know if there’s a blueprint for it necessarily, but just as with many difficult situations, just being thoughtful and doing what you can, doing what you think is best at the time, usually is a decent guidepost for commemorating those people in the community. 05:13 Sue John: Exactly, because those people are part of the community, and when you have a community that lasts for 16 years, they were there at the beginning. They saw it all the way through. They became part of the culture of the community. So when you lose people like that, it does affect other members because even if they have never taken the friendship or relationship that they’ve had with those people offline, it’s still amazing the part that that person’s played in their life over those years. So if anyone to say that a relationship or a friendship that you have online with somebody isn’t as meaningful as an offline one, they don’t know what they’re talking about. 05:50 Patrick O’Keefe: No, they don’t. And me, personally, I think my life has been positively impacted by forums and communities, and the people I know professionally, personally, my closest friends in the world I met them all online. I met most of them in one community, the SitePoint Forums, and so these are all people I know, I talk to them more days than not. We meet in person, I know their family, I know their kids. I’m about to head down for a wedding in mid-April for my friend, Kevin Dees, is getting married. I met him online through podcasting and then we co-hosted the SitePoint Podcast together and we’re really good friends and he’s getting married and honestly all my friends are married or getting married, I’m kind of the last one. Yeah, it really is an amazing thing. And on that same trip, I’m gonna make a point to swing down to Charleston, hopefully, to visit my friend, Jared Smith, who we met in our mid-teens when he was a volunteer moderator at phpBBHacks.com for me. And then I’m going to go to LaGrange, Georgia to visit with my friend Brandon Eley who had been on the SitePoint forums and one of my closest friends. And then I’ll visit my brother Sean and maybe also another friend I met at SitePoint, one of my best friends, Chrispian Burks. So, it’s like I’m gonna take this road trip and I’m gonna go meet people or go see people that I have met online in online communities, so it’s really funny to say that. 07:08 Sue John: Right, and that you get to know them online as well. Before you’ve met them you know all about them, so definitely one reason why that the BritishExpats and other communities like it are still around all these years later. They were here before Facebook and I truly believe that they will be there – I’m sure there won’t be an “after Facebook” – but you know what I mean. 07:30 Patrick O’Keefe: Yeah, it’s amazing when members meet each other, I think. To me, I still find that fun. Like, one of my moderators at KarateForums.com is organizing this big martial arts event in Arizona in March of next year and I saw that he’s got one of my other staff members coming in, and they live in two different areas. And I know where they met, like they met on my community and they’re both really great amazing people and now they’re gonna be at some event. They’re kinda… Well, my one moderator’s organizing it, another one is teaching at it. It’s just always really amazing to see those things. 08:00 Patrick O’Keefe: We talked about death and that brings an interesting topic to mind. The respect that we treat those accounts with of someone who has passed away, right? They had an account, their contribution, their legacy on the community and how we approach that. That’s a topic again I think a lot of people haven’t maybe had to deal with, but it’s really interesting because members make hundreds, thousands, tens of thousands of posts, contributions to our communities. It tells a story, it tells a story of them as a person, probably, it tells a story in our community and those contributions often mean a lot to the community and the members on it, both directly and also because their contributions are linked to those posts. When you have someone who makes 10,000 contributions that person might have impacted a 100,000 other posts who are replying to that one or quoting or referencing it. So I think how we treat those posts and how we treat that content is really important. 08:50 Sue John: Yeah, absolutely. So BritishExpats was and still is on vBulletin and as you know, if you delete an account per se, delete it so that the actual account is no longer there but the posts are. You can’t search those posts so I never did that. I would close the account, as in change the password option on it so it couldn’t be reactivated and move it to a different user group, but it would stay there and the posts would stay there and you would have a little note that the person had passed away, because people want to just still find those posts, and especially after someone’s died they want to even a year later, they will go back and go, “Do you remember when so and so said this?” And of course, other members want to go off and find those particularly funny posts or poignant posts and look for them. So yeah, you have to leave the content there because they’re part of the community. 09:38 Patrick O’Keefe: You have to give people room to grieve, I think is part of it. This is part of the grieving process and also part of nostalgia and reminiscing in the future years is to look back at those contributions and think about those great times that you had. We have these amazing digital memories and I think sometimes people who run communities are too quick to throw away content on communities that are older, established communities, whether that be clearing out content for technical reasons which is silly, or just closing things or deleting things on too short a notice for members of the community. And I always hate to see that, because if you have a community that’s been online for 10 years, saying that you’re “sunsetting” it in 30 days is unacceptable. 10:17 Sue John: Yeah, I absolutely agree because that’s the whole point, that the community moves through these different organic stages of the community from when it’s growing. I mean, you look at Richard Millington, who’s got these different stages of the community. So you’ve got the community going through all those different stages of the community. If you wipe out the beginning part, how does that explain how it got to where it is today? You can’t see it progressing through all those different stages and the memberships progressing and the culture progressing. I think it’s really important that you leave that stuff there. You might not want the search engine of your particular forum to be pulling all that content if someone is searching for something. Granted, I understand that, that you might want to limit the search parameters to so many posts backwards and/or a time period, that’s fine, but you still leave the content there. You still have it there for everyone to see how the community has grown. 11:06 Sue John: And going back to someone who died, some of the members that you have, it’s quite rare in different communities so I imagine especially for your karate community, you probably don’t have spouses, both spouses that are on there. So if one of those spouses has died, a part of their life that was a big part of their life, their spouse doesn’t understand or know to the extent of how much they were emotionally invested in that community. So when we’ve had people die and their spouse has not been a member of the community, we’ve started a thread to remember the member so that people could share their stories. And then I used to print it all off and mail it to the spouse so that that person’s got a record and can read through all the nice things that people have said about their other half and shared in the memories of that other person. So, I think that’s really important. 11:54 Patrick O’Keefe: Yeah, that’s an amazing thing that you do. You almost are getting access to this whole new group of people who knew that person you loved, and they really like that person too. And I think that’s an amazing surprise, and it doesn’t lessen the blow, but it certainly gives you something positive to think about. 12:11 Patrick O’Keefe: In a difficult time. And I mentioned this. You’ve had people… Was it one couple or two couples? Have you had multiple people get married just from BritishExpats.com? 12:29 Patrick O’Keefe: That’s amazing. 12:29 Sue John: And had children. So I think two sets of them have had children. So yes, so that is amazing. That just blows my mind. 12:37 Patrick O’Keefe: Yeah, for a lot of people that’s one of those bucket list community accomplishments is that two people who met on your community get married. 12:43 Patrick O’Keefe: You’ve had that four times. 12:44 Patrick O’Keefe: So that’s pretty impressive. And when they did that, did they make the community part of the wedding? Did they have a thread about it and share photos or anything like that? 12:53 Sue John: Yes, some did. The latest one who got married, I think it was last year because I’m obviously not running it any more, had e-mailed me privately to let me know. She didn’t share that they were even dating. She just put a little thread on there that they had got married. 13:08 Patrick O’Keefe: That’s a bit of a surprise. 13:09 Sue John: Yeah, and the other three did but in different varying degrees. Some mentioned it in passing. I think two of them actually started a thread and then put pictures of the wedding and stuff on there. So, yeah. 13:21 Sue John: The first one to have and the first baby, that was just unreal to me. 13:25 Patrick O’Keefe: Maybe I need to start posting on BritishExpats.com so I can find someone and get married. You mentioned this so I wanted to… Let’s talk about it. The idea of leaving a community after all this time. I left a community after, gosh, how long was it? Probably 12 years with phpBBHacks.com. You left BritishExpats after about 15 years. Talk about that. What comes to mind when you think about leaving a community you’ve been a part of for that long? 13:51 Sue John: It’s hard especially if you’ve founded it to let go of your baby, although I’d let go to a certain degree when we sold it. But to be fair, the company that bought it left the running of it to me. They never interfered in that aspect of it. The part that I didn’t have any control of was the platform and the other technical issues and advertising revenue, and I didn’t have any say in all that. But the actual daily running of the community, content and the engagement, was all left to me. So a little bit, I had become disconnected from it from a little bit because of that. But I think it’s hard to let go of something that you have founded, and you have to do it slowly. So when I had the thought that it was time for me to move on it was about 18 months before I did stand down. Then I tried to do it in increments of not being quite as engaged in the community and then not being around quite as much for the moderators, trying to get them to be used to the fact that I wasn’t always going to be there to bounce ideas off me or ask me questions. So I had a slow transition of 18 months where I stepped back gradually, then moving up to that point when I left. But it was difficult. But I think if I had done it very quickly, that would have been worse. So I think you have to do those things slowly. 15:04 Patrick O’Keefe: Yeah. It’s so funny you said that because when you started talking, I thought to myself of the need to do it slowly. 15:08 Patrick O’Keefe: Because it’s such a great point. When I stepped away from phpBBHacks.com, I didn’t sell it, I gave it to really the person who was the biggest contributor in the community, and it took me a while to get to that point. I wanna say I was thinking about it for maybe two years, which is a long time, and we only we have so much time on this earth. But after having managed it for at that point 11, 11 and-a-half years, like yourself you said, 18 months from when you kind of decided and kind of gave yourself time to come to terms with it. I really identify with that because that’s essentially what I was doing. I was still running it, but I was slowly coming to terms with the idea of no longer being a part of it. And that time really does help, because you start to think about what else you can do with that time. You start to think about what the community will be like after you and how you can set that up and how you can have a reasonable succession plan in place to hopefully keep things running smoothly. I was sad and excited at the same time when I handed it off because by the time I finally did it, I had come to terms with it. I had understood a big contribution I had made, what we had accomplished during my time, and was excited for what would come next, because I had high hopes for the person that I handed it off to. 16:14 Patrick O’Keefe: So you can’t just do it in a day, like you said. When you wake up every day and when you’re the founder of a community, when you are the one responsible for it, it’s really a part of your daily life. And so when you wake up every day thinking about that community in one way or another eventually for 10, 15 years, it’s not just over. And so you compare it to having a kid. You think about a kid going off to college, right? Or going away or leaving home. That happens on a specific day, but if you’re smart, you start thinking about it two, three years in advance and start making sure you cherish the moments you have and that you think about what life’s gonna be after that. And so it is very similar in that time and that space, you need to really be okay with it. 16:55 Sue John: Yes, absolutely. And I think especially for yourself or someone like me who was almost seen as the figurehead of the community. You want to make sure that you moving away from it isn’t going to make the whole community identity and culture and change. So you have to do it slowly because otherwise you’re not being fair to the members and particularly the volunteer moderators, some of whom have been with me… Well, I think one has been 14 years. 17:20 Sue John: And is still a moderator now. And all of them have been long term. I held on to them. And I know some communities like to change them out every year or every couple of years, but I didn’t believe that. I felt for our community it was nice to have the consistency. And so you want to make sure that you’re doing right for those people who’ve been giving their time and are one of the reasons why BritishExpats is still going today. So without them, it probably wouldn’t be. And without them it probably wouldn’t have grown as big as it did because they were there and they were as invested in it succeeding as I was. 17:53 Patrick O’Keefe: Yeah, that’s a great point. And 14 years. Wow, that’s a long time. I have one who’s been with me for like 12, and that’s rare. 18:00 Patrick O’Keefe: 14, man, that’s really impressive. And like you, I’m no fan of the whole trying to cycle people out. People are there because they wanna be, we have very loose requirements. People leave if they wanna leave, and so… And I never want anybody who doesn’t wanna be there. But it can take a year for someone to really be a great moderator, right? 18:16 Sue John: Yeah, exactly. 18:16 Patrick O’Keefe: It takes time for them to really warm to the role. Because wanting to do it and thinking it’ll be fun is a whole lot different than actually understanding it and seeing what’s necessary to really be good at it. So in my view, I have on KarateForums.com, I have a real veteran team, except for one person who was like two years ago now, but everyone else, I have four other people, have been there five, seven, nine or 12 years. So I have this senior, fine-tuned team that is almost perfect in execution these days. And it takes time to get there, I’m not gonna push those people out the door. If they wanna leave I’ll thank them, I’ll honor them, I’ll cherish the time we had, but I’m not gonna push them out after a set defined period of time. 18:55 Sue John: No, and I think that’s what makes it work, because it’s almost part of their identity, what they do on there, they enjoy doing it. Because for some, they don’t work, or for some it gives them a different outlet to their nine ’till five job at work. It’s a hobby, it’s an interest and it’s just as important to them as their paying job, in some respects. But then, when you’re leading the community, I believe that a volunteer moderator takes up more of your time than it would if you were paying them, because if you’re paying them, they’re there because they want to earn the money, not there because… Well, probably they are there ’cause they enjoy the job, of course they are. 19:33 Sue John: But what keeps a volunteer moderator coming back? So you have to keep making sure that you’re really invested in that person and you take time to know about them, their families, what’s going on in their lives, take an interest in their lives, be encouraging. And I think, if they are having a bad day because a member’s been rude to them or is just generally not behaving, they’re not being paid to take crap, basically, from people. So you want to make sure you’re there to support them in that respect as well, because otherwise no one wants to do something they’re not enjoying any more, particularly if you’re not being paid for it. 20:09 Patrick O’Keefe: Yeah. I always try to take the bad parts of moderating off of my volunteer moderators. [chuckle] Anytime any discussion turns nasty, they know, “Forward it to Patrick. Patrick will take care of it from that point.” And thankfully most people don’t get there, but… And I had had something that I react very decisively to, is when people are rude to the moderators. Being rude to me, there’s some leeway there. You can speak to me a little worse than you can speak to the average member, and I’ll let you get away with that and we’ll talk through it. But I just… No, not to the moderators. And it’s funny you bring up the idea of time and investment in volunteer moderators, because it makes me think that if you are really good with volunteer moderators you’ll be a great boss. 20:47 Patrick O’Keefe: Because if you are the type of person who can support people and have a great relationship with people, who are there because they want to be, and keep them there for that long period of time, when people are paid, and you said they’re there ’cause they’re paid, but if you keep that same demeanor, if you still invest in people and you be that person who tries to take some stress off your team, and tries to take those negative situations and help them and support them, that sounds like a great boss to me. 21:12 Sue John: Yeah. [chuckle] I won’t argue with that. [chuckle] No, that’s… I agree with you, though. It’s true. And you have to really pay attention to the details. I remember when I went to SPRINT, I think it was… Not the last one, but 18 months ago. And Philippe [Beaudette], or was it… I think he’s from Wikipedia, was talking about, even he, with the having to manage the amount of volunteers he has to manage, and he was talking about… That he makes a note every time he speaks to a volunteer, makes a note of the conversation, so that he can look back on that if he speaks to the volunteer again. ‘Cause the amount of volunteers he’s dealing with, he can’t remember everything on the top of his head. So he makes a note, so that when he speaks to that person again and he can reference their past conversation, it’s making that person feel that he’s got worth, that Philippe is listening to him, that his thoughts and opinions about the way Wikipedia may be being run, or what have you, is important to the people that are running Wikipedia. 22:11 Sue John: So I think that’s the same thing, you have to… Especially with a community who’ve got volunteer moderators, they are part of its success or its failure and you want to make sure that their thoughts and opinions are listened to, and you take advice from your moderators, and you take feedback as suggestions. And not all of it is gonna work, because you’re looking at things from a different aspect to they are. But they are your eyes on the ground, because you can’t be everywhere. So I think it’s really important, that you do need to take notes and you do need to pay attention to what they’re saying to you. 22:44 Patrick O’Keefe: That’s a great point. Be present, listen, take notes. I like that. As someone who has done it, do you feel like the experience of starting a community from scratch, with very limited resources, is a worthy skill and perspective building effort for community pros who have never done it? 23:01 Sue John: Absolutely. And I have quite often been asked by people that aren’t in our line of work but want to be, how do they get started. And I recommend always, that they go, if they’re part of a community already, that they volunteer as a moderator, and if they’re not, then they go join a community and they actively participate, and then volunteer to become a moderator. Because I think some of that stuff you just can’t teach, you have to be in there and learn it as you’re going. In the same way, for instance, that my sister is a care-worker and she looks after the learning disabled; I could not do that job, I do not want to do that job, it’s not within me to do it and to do it well. 23:41 Sue John: I wouldn’t enjoy it. But, and she does it and she’s good at it. And I think that everybody… Just because you want to do a job doesn’t necessarily mean you’re going to be good at that job, that you’re a good fit for the job. So I think, so that you know, “Okay, I’d like to get into community and I would like to be a social media manager,” or whatever, I think you need that experience to go in at a ground gritty nitty-gritty level and figure out, “Is it really what I want to do?” Because we see a side sometimes of people that isn’t particularly nice. Whatever decision you make somebody thinks it’s wrong, and you have to learn to be diplomatic, not to lose your temper, not to take sides. And I think sometimes you just can’t teach that, and you have to be in there to learn the pros and cons, and the different elements that go into building a community. For instance, one of my main things is when someone starts a community is they might start… And whether it be a forum or any other sort of platform, they’ll start off with 20 different sections. I know from experience that isn’t gonna work. [chuckle] You don’t need 20 different sections, just start off with one section and then build from there, and you let it grow organically ’cause you cannot push people into conversations they don’t wanna be part of, you have to wait and see which way they’re gonna direct the conversation. If that makes sense. 24:58 Patrick O’Keefe: Yeah, it does. And the people aspects of community are really where I think a lot of the great benefit of doing something yourself comes from. Because when you are either transitioning to a community-type role or you just want one, being able to interact with people in that setting as, “I am the… ” Whatever you wanna call yourself, “Facilitator, manager, administrator. And I have this community that I’m responsible for, and I am tending and I am serving, and now I have these people here.” Because if you… Unless you have terrible bad luck and you don’t know, you’re just the worst at this in the history of time, you’ll probably get one person who comes in the door. And so you’ll need to learn how to interact with people on that level. And you may have a small community, you may have a big community, it may grow, like BritishExpats.com, to be its own big thing. 25:47 Patrick O’Keefe: But either way, you’ll be picking up that digital face-to-face experience where you have this group of people who is engaging in the space that you are responsible for. Something broke, what are you gonna do? Someone was nasty, what are you gonna do? How are you gonna talk to those people? How are you treat them? What’s your line in the sand gonna be? And if you’ve never done anything like that, just having that experience that you can then draw back on in the future when you do have a job somewhere, is incredibly valuable. 26:14 Sue John: When we first started BritishExpats, ’cause my husband did the techy stuff for me, it was a hobby, it wasn’t something that we started to make any money. [chuckle] It just evolved into that. 26:32 Patrick O’Keefe: And you really had to grind and figure it out. 26:51 Sue John: To the outsider you’re looking in, it’s no big deal, but for them that’s a bit of a crisis. So you’re learning all these different aspect of how to handle all those crises, and how to deal with people that are angry, and that you may not have an answer for. So, “I don’t know how to tell you that we can’t get this fixed.” But you’ve got to make sure that they know that you are listening to them, and taking on board what they are saying, even though you may not be able to give them the information they’re really looking for or want to hear. 27:16 Patrick O’Keefe: Yeah. And you have to be resourceful, you’re going over to Google, you’re going to support forums. 27:20 Patrick O’Keefe: And most people who have an online community don’t have quote unquote, “dev resources,” they don’t have that budget. When an error pops-up, they just hit Google or the support forum. 27:29 Sue John: Years and years ago, this must have been about 15, 16 years ago, maybe longer. I had either read somewhere or had seen, it might have been on VolunteerMatch when which is like an online… I think it’s still around, that you can go and look for volunteer positions in your area if you want to go ahead and volunteer. And they had something called career volunteering, which was their way of helping people who wanted to try a different career but couldn’t leave their present jobs or didn’t want to leave their present jobs, but wanted to try out a new career. So they were trying to encourage people to go off and volunteer in the career that they were looking, you might possibly want to change to. Because that way you’re learning new skills and you’re learning about a new career. Do you like it? Do you not like it? And the payment aspect of it doesn’t mean that what you’re learning is any less of value. So if you’re more invested in something, if you’re giving your own free time to learn, I think. 28:24 Patrick O’Keefe: Before the show, you told me that, “Communities hosted on forum platforms are my first love, I continue to be an advocate for such communities and believe that they are overlooked and undervalued by some in the social media world.” Over the years, we’ve sometimes been side by side on this issue, educating people as best as we can. What do you think is it that drives this something wilful disregard for the value of forums? 28:50 Sue John: I think, where I’m sitting, and my point of view, whether that’s right or not. 28:54 Patrick O’Keefe: Which is a good point of view. You have a lot of experience, you’ve worked with a lot of major brands through Emoderation, so don’t discount yourself. 29:01 Sue John: It’s almost like the new shiny toy, where the magpie that sees a shiny toy. “Oh, we’re all gonna migrate towards these.” To new shiny toys, and those new shiny platforms, and forgetting that community and social have been online way before Twitter and Facebook, and Bebo, and MySpace, and all those other things that they would have had forums, but before all of that we had Usenet, right? And then before that, I was a member of a email group for a couple of years. 29:33 Patrick O’Keefe: Yep. There were services where you dialed in. 29:53 Sue John: So, I think everyone migrated to this new shiny platforms and forgot that, if you search Google for forum platforms you get over 100 million results, and that’s by searching for “Powered by”, and then the forum name, so phpBB, vBulletin, etcetera, etcetera. So there’s still over 100 million pages with content on them, that are not related to “social media.” So “social” has been on the internet for way before all these took off, and I’m not sure why they’re being overlooked. But I think what brands and companies and people are missing, is that if you look for information, when people look for information on the internet sometimes, or the majority of the times, when they’re pulling up the results there’s always a forum in there somewhere that comes up in the search results. So for instance, my husband this week is researching a new car he wants to buy. And he’s not looking on Facebook or Twitter or Instagram, he’s actually on forums, looking and reading. People are sharing their experiences, people are sharing the positives and negatives, who are asking questions, who are answering questions in a form where it’s easily readable. You can follow threads of conversation, you can subscribe to them, so you can get direct links to your e-mail or in some instances, some forums will set up the whole thread so you can read it in the e-mail. 31:07 Sue John: So I think they’re seen as old school because it is hosted on a forum. And I think they are so focused on the word “forum,” that they’re forgetting that a forum is a community. Yes, there are customer support forums and I think that’s what they focus on. They think that a forum is a customer support forum and that there aren’t communities on there. But in fact, there have been and always will be communities on host- but it’s just hosted on a forum platform, which is completely different to Facebook and Twitter and what have you. 31:38 Sue John: And I also believe there’s another reason why they’re still around and they’re still very active, is because people do not want all their social profiles all lumped in together in one space. They want to be able to keep them separate. And when you go on forums and other similar software platforms you don’t have to connect your stuff up to Facebook and Twitter, you can create a whole new identity. And I’m not necessarily saying you have to be anonymous, ’cause that’s a whole other conversation. But that your conversations that you are having on there are not connected to your Facebook page. Or what’s just to say, for instance, a person wanted to arrange a honeymoon getaway for their wife and they didn’t want anybody to know. They would probably pop across to TripAdvisor or somewhere like that and have a conversation there about it so that their other half wouldn’t accidentally find out through their Facebook page that they were on that page. And I think companies are forgetting that, that people don’t want all their social profiles connected together and they want some separation. 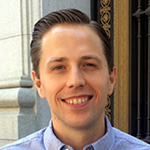 32:39 Patrick O’Keefe: My thing is, anecdotally, and there’s no research to cite, but I feel like there’s more forums than ever before. I just feel like we have more people online than ever before and we have more platforms, so we’re more spread out than ever before. But that doesn’t mean that forums are dead, dying, bad. It just means that we have more choice, as far as how we engage and the activities that revolve around that particular platform. There’s some crossover between what people do on forums and what people do on Facebook, because there are groups and pages where people do unite around specific topics, interests, professions and what not. But if you were looking for car experts, you’re going to a car forum almost all the time. If you were looking for experts in AV equipment, computers, technology, knitting, basketball, you know, sports talk, you’re going to a forum for the most part, if you wanna have conversations of depth. And so, that’s still true. It was true 10 years ago, 20 years ago, it’s still true now. Facebook has not cracked that. Facebook isn’t really interested in that at the end of the day, I don’t think. And so that’s a whole different thing. And one of the things that I think is difficult for brands is that forums can be messy. In the sense that, Facebook is this one platform, it has this number of users on it, and we accept that. 33:52 Patrick O’Keefe: And it has these analytics. It has likes. It has microactions. They provide you with some analytics, you can buy some ads on it, you can target those ads, etcetera. Twitter, similar. You have all these people on this one platform. You have follows, likes or hearts, re-tweets and what not. Forums are all spread out, right, and we might have, who knows how many users are on forums in total, right? That number could shock some people. If you totaled up all the people on forums as a whole, that number might shock people. It might be bigger than some of these platforms that are easier to use. So it’s just one of those things where just because it’s a little harder I think that scares a lot of people away. Now there are some things that have been pushing people back to that realm, Facebook cutting reach was a big one. And so I think people are rediscovering it. Like you said, though, there’s a focus on the word ‘forum’ and what that means. And it’s such a weird [chuckle], some professor of language should probably look into it because, I mean it’s such a weird thing that people separate out the word ‘forum’ to mean like, old or something not current, not modern. I mean forums are just threaded conversations. That’s all. I mean that’s all they are. You post, I reply, that’s forums. That’s everywhere. If you look at it that way, forums are everything. That threaded conversation is pretty much the basis of most of these platforms. 35:05 Patrick O’Keefe: It’s funny, the other day I did this search for ‘next generation forum’ [chuckle], because I was like, “Huh, I saw that mentioned again.” I was like, “How many people have called themselves that?”. And sure enough there’s several platforms that have used that or been referred to as the ‘next generation forum.’ They all have a lot more in common than they do dissimilar. I don’t know. We have this mentality of everything being a killer. For this thing to be successful, this other thing must die. This is a Facebook killer, this is a forums killer. Whatever, whatever, whatever. I don’t really get down with that stuff because I, like you, came from an era where there were no tools. We didn’t have anything. So we didn’t have anything at all. We had this BBS software, then you had, vBulletin came out around 2000, phpBB came out around 2000, UBB was before that. We didn’t have things, so it’s nice to have things. That’s my general perspective is that we had nothing, now we have stuff, and I prefer stuff. I like having this stuff, doesn’t mean I have to use all of it. But we have that stuff, so nobody needs to die, nothing needs to disappear. Let’s just keep the stuff, and keep making more stuff, and we’ll be happy. 36:12 Sue John: Right. I think is what you’re talking about stuff, as well, with some of the forum communities, where they’ve got gamification pretty big on there. And so, they have to add tens of thousands of bells and whistles, when basically, people don’t want all those bells and whistles. They just wanna be able to have a conversation with somebody else, and be able to search the information as easily as they can, which is why Facebook is great because you have groups and pages. But you try and find something in a group that was posted two weeks ago, if it’s a very busy group, you’re not gonna find it again. 36:41 Sue John: So you’re constantly, I see, in the groups I’m on on Facebook, you’re constantly seeing those questions being asked, over and over again. Because you can’t search for them. So I think there’s a lot to be said for threaded conversations on a forum platform. Easier to find the information. 36:57 Patrick O’Keefe: Sue, thank you for coming on the show. It’s been great to talk with you. 37:00 Sue John: Thank you very much for having me, Patrick. I really enjoyed it. 37:02 Patrick O’Keefe: We have been talking with Sue John, founder of BritishExpats.com, and community manager and engagement specialist at Emoderation. Visit Sue’s website at sueontheweb.com, and follow her on Twitter @sueontheweb. For the transcript from this episode, plus highlights and links that we mentioned, please visit communitysignal.com. You can contact me via the website, and find me on Twitter, @patrickokeefe. Community Signal is produced by Karn Broad, and we’ll see you next time.